Trees can be injured by winter weather. This is especially true for needled trees since the needles stay on the trees all winter. If you have arborvitae in your yard and you live in a cold climate, you have probably seen that they occasionally suffer winter damage. 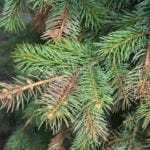 Read on for information about winter injury on arborvitae bushes. Winter injury on arborvitae bushes is not uncommon. Desiccation, or drying out, is one important cause of winter damage to arborvitae. The arborvitae dry out when the needles lose water faster than they can take it up. Arborvitae needles transpire moisture even in winter, and uptake water from the ground to replace the lost moisture. When the ground freezes below the root system, it cuts off the water supply. 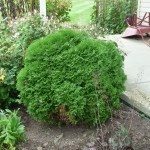 Why are My Arborvitae Turning Brown? If the winter burn is severe, the entire arborvitae may brown and die. You may notice symptoms as the damage is occurring, but often the burn damage looks even worse later, as temperatures rise in early spring. It’s best not to make any rapid decisions about whether or not you can save the tree. Simply wait for spring and you can easily tell whether the arborvitae is alive. You can prevent desiccation by watering the ground thoroughly all through the growing season, right up through autumn. Give the shrubs more water on warm days during the winter. Arborvitae winter care also includes a thick layer of mulch to protect roots. Use up to 4 inches. In addition to mulch, you may need to wrap evergreens in burlap or other material for winter protection if your winters are particularly severe. 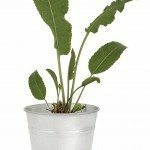 If you do, don’t wrap too tight or cover the plants too completely. Be sure to give the trees room to breathe and exposure to natural light.